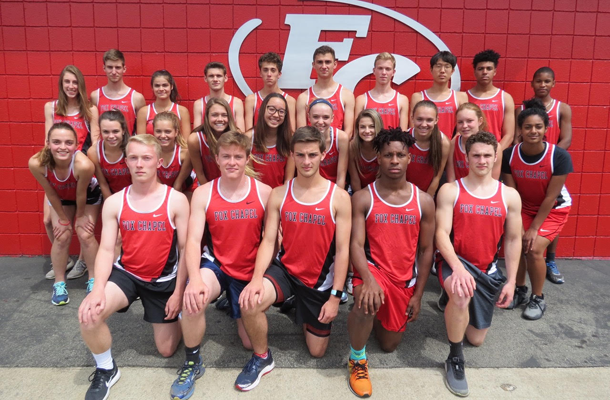 A number of athletes from Fox Chapel Area’s track and field teams medaled at the recent Baldwin Invitational where 60 teams competed. But they had to wait until May 9 to find out whether their times and distances that day or from sometime during the season were good enough to push them ahead into the May 17 WPIAL Track and Field Championships. For the most part, they were. Girls’ team members who are advancing in the 3,200 are senior Pitt-recruit Caelan Miller, junior Sarena Seeger, and sophomore Grace Sisson. Grace, who is really coming into her own and has much promise for the future, is seeded second in the championship meet. In the 1,600, Caelan and sophomore Brooke Krally also advanced. Last season, Caelan qualified for the PIAA championships in that event, and her best time this year places her second on the list of WPIAL qualifiers. All of the girls were members of the Foxes’ 2017 cross country team that won the state championship for the first time in school history. Another female athlete moving on to the WPIAL championships is sprinter junior Kate Carnevale. She qualified in the 100- and 200-meter dashes this year and is hoping for a repeat trip to the PIAA meet again this season. Last, but not least, the girls’ 4 x 800 and 4 x 400 relay teams advanced, as did sophomore discus thrower Yezmeyn Chaudhry. For the boys, sophomore distance runner Christian Fitch advanced in the 3,200 and holds the fourth best time in the WPIAL among all male runners in that event. Teammate Ian Brown, a junior, also advanced in the 3,200. Seniors Jonathan Folkerts qualified in the 1,600, and sprinter Andrew Jeffrey will compete in the100- and 200-meter dashes. Furthermore, junior Korey Simmons will appear in the 300-meter hurdles and sprinter Evan Kieffer, a sophomore, advanced in the 400-meter dash. Dom McGriff, a senior who just joined the team this year, qualified in the triple jump.